These are the words Josh’s paediatrician asked me towards the end of our appointment where his diagnosis was being discussed and determined. “And what about you, how are you doing”? I remember being surprised at the question. I didn’t know what to say. What about me?! I don’t matter at the moment. Josh does, his future does, and Holly does. I wasn’t dismissive of her question, if anything I was touched at her kindness, but I did kind of brush off her concern because in that moment I didn’t understand why she’d think how I was feeling mattered when it came to dealing with Josh. And to be honest it took a good week after that appointment to get my head around everything, accept the outcome of the appointment and understand why these questions were asked. I’d felt really quite numb and lost since that appointment and it wasn’t till I had a day where I finally allowed my emotions to spill out and have a good cry that I started to come to realisations and see things with a bit of logic. It made me realise exactly why the paediatrician had asked that. Because if I don’t look after myself, how can I be the best Mum possible to my beautiful children. Unfortunately and rather infuriatingly, it sometimes takes some of us to hit a low to realise that actually we need to be kinder to ourselves. This is the point I’ve hit – I know I need to start taking care of myself in order to take even better care of my babies. I do want to stress, I don’t feel depressed. I have suffered with depression and anxiety in the past and I know this feeling hasn’t been that. I know it’s just a realisation that life isn’t quite what I thought it would be with my beautiful Joshy bear. It may sound melodramatic but it’s almost like a grief thing. 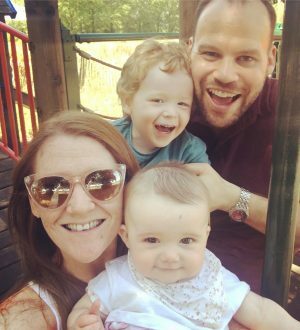 I spent months trying for Josh, then nine anxious months carrying him, and enjoyed the first year of his life just expecting everything to be as I had envisaged. Back then I would have thought that at over two and a half years of age I’d have this child I can have conversations with, who’d be in a big boy bed, who I’d be attempting to potty train. You have these expectations and hopes. That’s normal. And of course life has handed us a bit of a different kettle of fish. And to me, my Joshy bear is still perfect. He’s my Josh, my baby, my world. But it’s as though you are grieving that life you had envisaged and let go of it in order to handle and accept. And what I am quickly coming to realise is that happiness is letting go of what you think your life is supposed to look like and celebrating it for everything that it is! And I plan to celebrate my children every day. But to that end, you also have to celebrate yourself. What you achieve each day whether that be a successful, stress free trip to the park, helping your child learn something new (Josh was attempting to sing the Postman Pat theme tune today and I kid you not, I cried) or simply surviving the day with a tornado toddler and a teething baby. I have vowed to myself that each morning I am going to make sure I wake up and remind myself that whatever life throws at us that day, we’ll cope. We’ll get through it, we’ll survive and even if it’s a tough day, my babies will go to bed happy, loved, warm, safe, fed and cuddled. And sure enough each night they do. They may spend 75% of their day driving me to despair, they may empty my purse down the toilet (the one time I had a £20 note on me), they may drive me to hiding in the utility room devouring cookies, but they also make me laugh, proper belly laugh, every day. They are cuddled a stupid amount and I encourage them in all that they do whether it’s Josh building a tower or Holly mastering sitting up by herself. And in turn, each night I can go to bed and know, whole heartedly, I did my best that day, however it turned out to be. As a Mum and a Wife, I focus the vast majority of my energies on my family and those around me that I love. But I’ve come to realise that maybe now is the time to shift some of that focus on to myself. 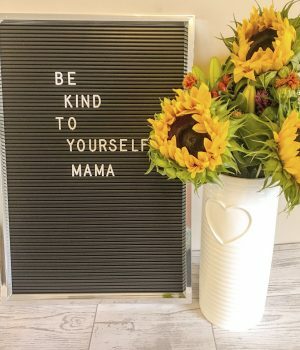 How can I be the best Mummy I can be if I am not cutting myself some slack and reminding myself “you are doing a good job”. Sometimes I need to switch off, refocus and just be Fi for a little while. We all need that time to just be don’t we. Now is the time in my life where I need to be optimistic and positive and I need to do that with the right mindset. If I don’t allow myself a bit of Me Time then I am not going to be in the right mindset. Instead I’ll feel stretched, pulled in all different directions, distracted, less tolerant and unable to concentrate on one thing at a time because I’m trying to do ten things at once, and all for other people. Of late I have given myself practically zero time to myself. The odd bubble bath here and there but even then I allow thoughts of “you really should go and sort that washing out” to enter my head and kill my blissed out vibe. And at the moment it feels extreme; message upon message sits on my phone waiting to be read because I barely allow myself to even sit down and indulge in a Whats App chat with my friends. There have been way too many plates spinning and now it’s time to let go of some of them, let some of them smash on the floor and just focus on the ones that truly matter; Josh, Holly, my Husband, and low and behold, little old Me! Because despite me being dismissive of the thought, I DO matter. Yes I am Mummy, and my job is to look after everyone else and try to remember everything and be the magical fairy that mops the floors and does the washing without anyone being non the wiser, but I’m also Fi. Fi who used to be an absolute party animal. Fi who used to do pole dancing classes (without the career move I hasten to add – it was a fitness class)! Fi who loves to read in the bath. Fi who loves to write in a totally silent house of an evening whilst enjoying a cheeky gin. Fi who has a tendency to sing at the top of her lungs in the car on the rare occasion she has it to herself (One Direction and Foo’s being the choice of music….. eclectic taste what can I say)! I like Fi. And I’ve come to miss her a bit because I’ve got into a vicious circle of thinking I am all Mummy and if I try to claw back that time for me then I’m not doing my absolute best for my family. Now of course I realise that having that time for me is the best possible thing I could do for my family. To have some time to myself, to indulge in the occasional trip to the beauticians or even to just think “bugger the washing today, instead I’m going to sit and read an entire magazine from cover to cover whilst the kids nap”, those things make me happy. And a happy Fi is going to be a far better Mum than a stressed out, irritable, bad tempered Fi who may well have put all that washing away but doesn’t feel any happier for it. Life is short, and I am quickly coming to realise, unpredictable. All I want to do is be the best Mum to my kids, the best wife to my husband (who has been a rock to me during these last few weeks) and the best possible version of Fi that I can be. So that’s where you’ll find me – giving myself a break and encouraging all you Mamas out there to do the same! Expectations aren’t always reality but that doesn’t have to be a bad thing. See the positive in everything. And take care of you.